The Bellagio Sectional patio furniture set is a 6 piece deep seating set that contains 3 corner pieces, 2 middle pieces, and 1 ottoman. 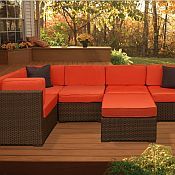 With an aluminum frame and PVC resin wicker, this set will last for years without rusting or fading. These features also make this set ideal for all outdoor areas, including the beach. The Bellagio Sectional set has a natural looking, open weave design, thick comfortable cushions, and is virtually maintenance free. Whether you are decorating your backyard living space or beautifying a commercial setting, this set will add flavor to your outdoor rooms. 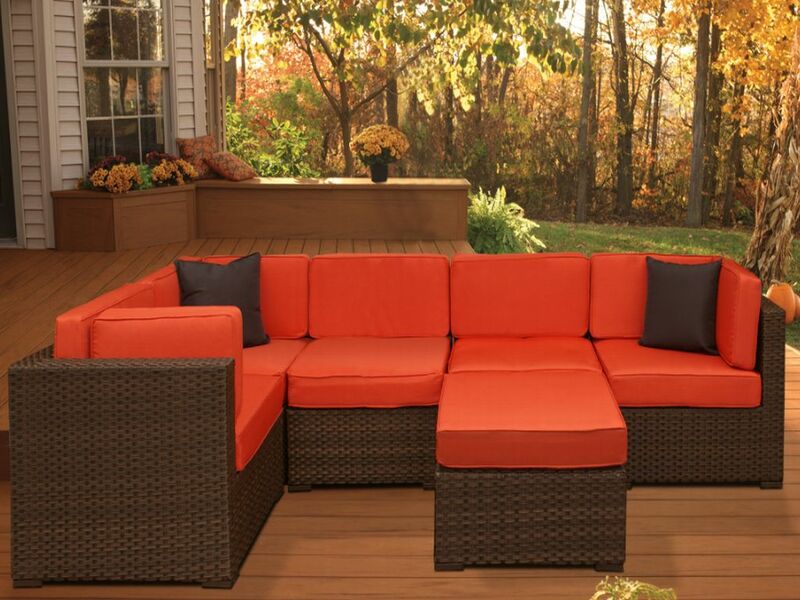 The Bellagio Sectional set will provide years of enjoyment, comfort, and versatility. The cushions are 5" thick and are available in two colors: Off White or Orange.